A smooth, structured ride in a 2E width. GEL-FOUNDATION 13 helps guide severe over-pronators to achieve more efficient form with its Guidance Trusstic System Technology and Dynamic DuoMax Support System. A wide forefoot construction and Maximum Support Last makes it recommended for custom orthotics or athletes with larger builds. 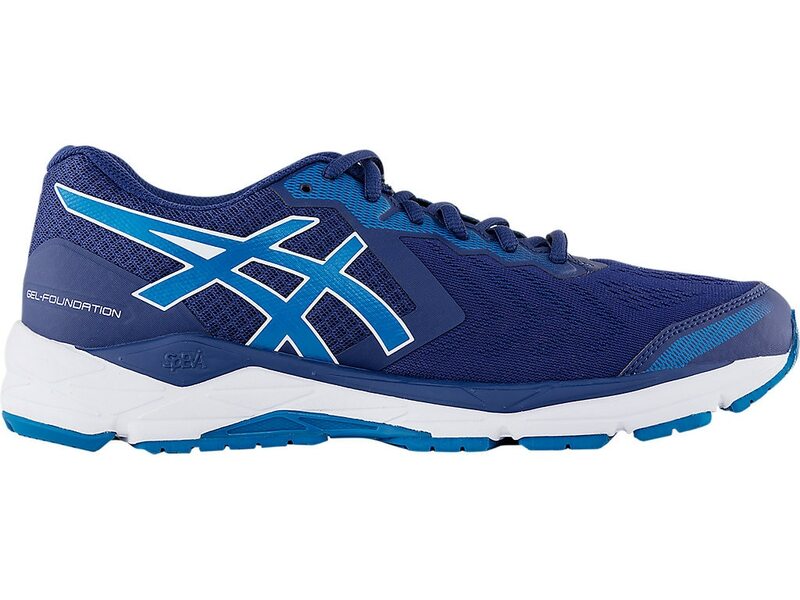 Premium rearfoot and forefoot GEL cushioning plus a SpevaFoam Midsole ensures an energized toe-off and comfortable landing in a structured, supportive shoe. A blown AHAR rubber compound for enhanced cushioning and durability in the forefoot.